This DSP is similar to some other Pontiac Service signs, so do not be confused. This sign had the Indian in the center, but instead of having the white lines running through the blue background, this sign has two orange stars. The primary colors of this sign are orange and blue. 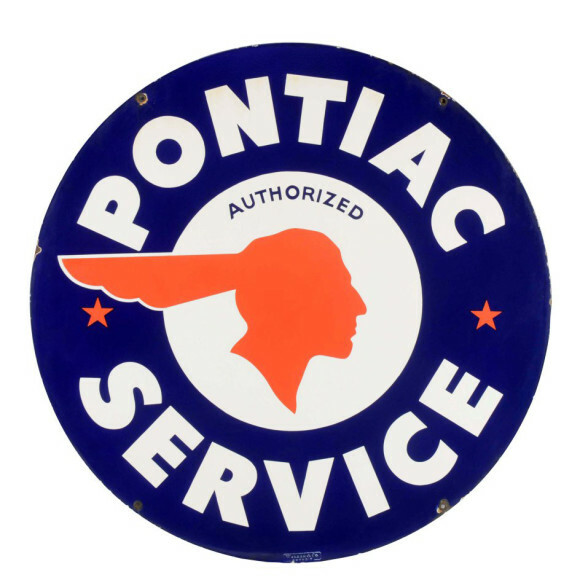 It has a whit background and reads “Pontiac Authorized Service, Walker & Co.” The sign measures 42″ in diameter.